Identifies the most suitable pump for each application. CAPRARI Pumps Australia has released pump selection and system design software that helps users tailor their system to their needs, identifying the most suitable pump for each application in terms of product choice, running cost and efficiency. 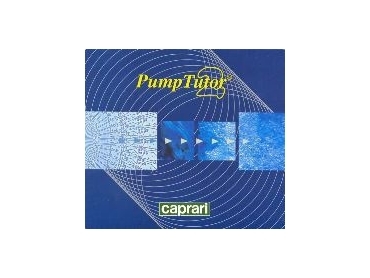 Caprari Pump Tutor Version 2.3 is a valuable planning tool for designers of irrigation systems. It can calculate the flow rate required and total dynamic head, from which a pump can be selected to suit the specific application. If the pump's duty point is known, it is simply entered and the software does the rest. For bore hole submersible pumps the program will calculate the correct electrical cable size. Pump Tutor provides detailed technical-constructional information about each product to help ensure the optimal pump application is selected. It also provides details about pump curve, power efficiency, NPSHr and dimensional information, which can be printed off in diagram form or incorporated into a multi-media formats. The software has recently been updated to include almost the entire Caprari range.